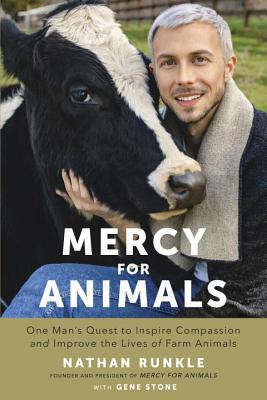 Nathan Runkle is the founder and president of Mercy For Animals. For two decades Nathan has overseen the organization’s growth into a leading international force in the prevention of cruelty to farmed animals and promotion of compassionate food choices and policies. A nationally recognized speaker on animal advocacy, Nathan has presented at colleges, conferences, and many other forums from coast to coast. He has been featured in hundreds of television, radio, and newspaper interviews, and has worked alongside elected officials, corporate executives, heads of international organizations, academics, farmers, celebrities, and film producers to pass landmark legislation and implement animal-welfare policy changes. Gene Stone is the author of many bestselling books, including the number-one New York Times bestseller Forks over Knives. He also cowrote the bestsellers How Not to Die, My Beef with Meat, The Engine 2 Diet, and Living the Farm Sanctuary Life.